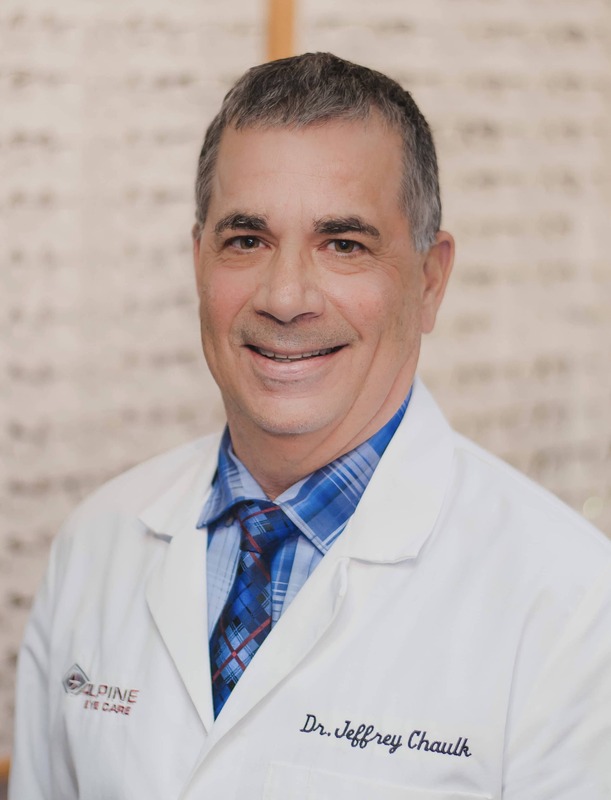 Jeffrey K. Chaulk, M.D., P.C medical director at Alpine Eye Care, is a licensed physician and surgeon and a leader in cataract surgery. Dr. Chaulk was one of the first ophthalmologists in the area to perform small incision cataract surgery. 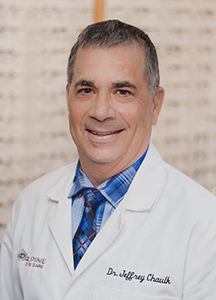 With more than 25 years experience in cataract surgery, he is a pioneer in cataract removal and lens implant procedures. Dr. Chaulk has also performed refractive surgery on surgeons, nurses and many other health care professionals. He has rapidly established a reputation as a caring physician, with the ability to manage a wide variety of eye problems. By providing a unique combination of high tech surgical management and warm, personal patient care, he has gained the trust of patients and physicians alike. Dr. Chaulk received his medical doctorate from Wayne State University and completed his residency at Sinai Hospital of Detroit.